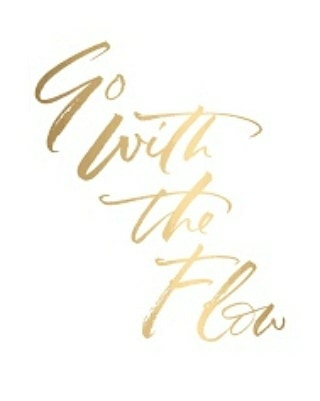 Don't expect someone else to shut down their flow just because you do. (Empathically, that really is physically painful to pick up on by the way.) When you shut this down, you become ungrounded and your hara line constricts. So too do the chakras and then things stop manifesting properly and ya get cranky. You choosing to do this is your choice but expecting another to do so to try to keep from being triggered is not going to serve you in the long run. Don't get me started on men trying to shut women up. Have we not had enough of that yet? You need to learn to keep your heart and connection with Source flowing. It's vital. It's your life force. It's what allows miracles to appear. The restriction of emotions is a huge source of disease in the body and mind. I won't get into how your energy field looks when you do it. You can't keep shutting it down or your connection with another because youre uncomfortable with emotions and communication. That person triggering you is a gift and this is a time where review is vital, especially of relationships. Take advantage of it. Stop treating another's emotions like some virus you're afraid of catching. You want to stop feeling the pain? Get a healing session with someone. This is a year where you cannot get away with ignoring your weak spots. And on a spiritual note, you contractually asked the person triggering you to show up. Try giving them a thank you instead of trying to shut them up next time. You cannot stop your healing process, but you can delay it which is super uncomfortable. Stop trying to block pleasurable experiences because you're scared. You called this in. You asked for what has arrived. On another note, don't try to share heart energy with someone if you don't plan to be their beloved. It's a violation of heart space and avoids dealing with the heart of the issue. Not sure what that issue is? Book a session. It's all in how you handle fear. You don't wait until the fear is gone. You feel the fear and do it anyway. When you get used to working through fear in a new way, it becomes exciting. It rewires your ability to GROW. Which is why you are here. Always speak your truth, even if your voice shakes.